Multi-Platinum Artist, IYAZ Discusses His Favorite Collaborations, His Newest Single “Alive” and More! Iyaz is a multi-platinum, singer-songwriter best known for his smash hit “Replay”, which was featured as part of an iPod campaign, sold a staggering 15-million singles, and climbed to #1 on Billboard’s Hot 100. He is now back with his first official single in four years. 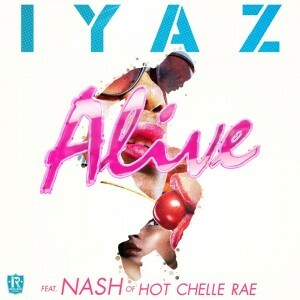 “Alive” is the name of the song and it features Nash of Hot Chelle Rae. This Virgin Islands born artist has quickly built a huge cult following. Known for infectious melodies and incredibly catchy hooks, Iyaz has spent the last four years honing his craft as a songwriter and vocalist, as well as exploring his true sound and collaborating with artists like Miley Cyrus, Ariana Grande, Demi Lovato, Travie McCoy, FloRida, Big Time Rush, David Guetta, Sean Kingston, Akon, Rick Ross, Charice, New Boyz and more. Iyaz’s songwriting style is timeless and universal. He’s a storyteller who paints visual scenarios that tug at the listener’s heart-strings. Every lyric he writes is handcrafted to relate and connect to the listener. He does this with clean lyrics, devoid of curse words and negative themes. Instead, the 26-year-old artist makes uplifting reggae-infused Pop/R&B melodies. 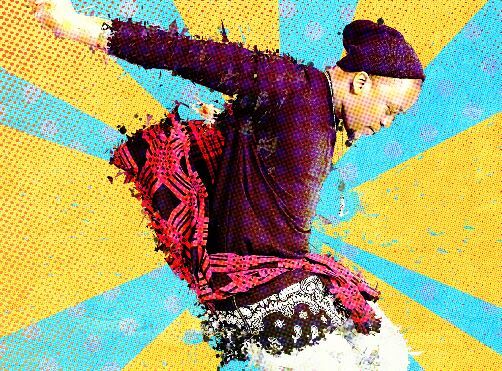 With more confidence than ever and without the constraints of major label supervision, Iyaz is free to take artistic chances, while maintaining his innate ability to produce sing-able, accessible, great pop-tunes – which is evident on “Alive”. Iyaz first broke onto the scene in 2010 after being discovered on his Myspace page by Sean Kingston and getting signed to label Beluga Heights, whose roster also included Jason Derulo. Iyaz went on to co-write “Replay” with Derulo. Iyaz followed the smash up with a double platinum hit (“Solo”) and two gold-certified songs (“Pretty Girls” with Travie McCoy and “So Big”), as well as sold-out gigs spanning the globe on major tours such as Justin Bieber’s “My World Tour”, London’s T4 Festival, and Wango Tango. Thanks so much for your time today, Iyaz! So, how was your summer? My summer was pretty busy. I spent most of my time in and out of the country doing overseas shows and working on my new album. I didn’t get much of a break but that’s a good thing in this business you got to keep busy and stay working! Growing up, did you always want to be an artist? Were you constantly surrounded by music as a child? Growing up, I didn’t see myself being an artist. That came along in my teens when my cousins and I started making songs together just for the fun of it; for ourselves and our family to hear. Then I moved to the states where we continued to make music but this time we took it more seriously. Eventually, our beat selection and our lyrics changed. By then we literally had the whole island listening to our music. I know I just love music and its in my blood. Music is the center of everything on my island where I’m from. You have collaborated with a ton of artists! Which ones have stood out to you? One of my favorite collaborations was with Miley Cyrus. A song we did actually ended up being a part of the season finale of her show, Hannah Montana. That was pretty awesome! Also, the group effort of all the artists like myself, Quincy Jones, Justin Bieber, Black Eyed Peas, Kanye West, Lil Wayne, etc., that came together for the remake of We Are The World’s Haiti, when they had the huge earthquake. That was something epic and I felt blessed to be apart of. Seeing all of us come together to support from all genres was amazing. That’s what it’s about at the end of the day, working together in music to make a difference, or even make someone, somewhere feel a little better in some way. How do you think you have grown as an artist since releasing your hit song, “Replay?” How has your sound grown and changed? When I released “Replay”, I was young and the hard work that went with it was phenomenal. Over the years I’ve come to realize that hard work is its own reward. You can’t plant an apple tree and expect oranges. What you put in you will get out. This mode of thinking made me much more appreciative of what I achieved hen and plan to achieve now with this new album. How has my sound grown? You tell me! (Laughter) I won’t say my sound has grown really. My voice has matured but my sound has become more diversified and infused with the acquired taste which comes with age and experience. I’m still an island guy at heart so every melody used will be flavored with that in mind. It’s been awhile since you’ve released new music. What have you been up to? Well, its actually been about 2 years. I released “Pretty Girls” with Travie McCoy in mid 2012, as well as a couple other radio singles that I was featured on, and continued promo tours and press till after 2013. I took those couple years to go back to the island and be with my family and regroup. My success with “Replay” and the rest of my other singles happened so fast and it was non- stop on the road for almost 4 years straight. I literally was in a different state or country every other week. What was the inspiration for your newest single, “Alive”? How did Nash get to be a part of it and what was it like working with him? My new single “Alive” was actually based off of conversation I had with some friends about dating someone who we all know is bad news, but you don’t care what anybody has to say about it. I tried to find a fun way to bring that into a song. When I was finished laying the chorus, we spent like 20 minutes in the studio trying to figure out who we should put on the song as a feature. After bouncing names back and forth, we said Nash would be perfect. So I sent it over to him and he did beyond more then what we even had in mind. It definitely brought the track ‘alive’ even more. Working with Nash was cool! We’ve known each other for at least 5 years now; from doing radio shows to hitting each other up through text messages every now and again. It was long overdue that we did a song together. Who are some your favorite artists? Who would you love to work with one day? Some of my favorite artists are Miley Cyrus, Drake and Sam Smith. This list could go on and on but we’ll keep it short for now. I still would love to work with Green Day and I would also love to work with Drake one day too. You are touring quite a bit these days. What can fans expect from your shows? What’s been a favorite show of yours? When everything goes as planned, my live shows are epic! From me pulling my fans from the audience on stage or jumping into the crowd to me being on stage watching everybody jumping up and down to my music. It’s honestly one of the best feelings in the world. One of my favorite shows would be my first major show in Milwaukee. Milwaukee definitely knows how to party! If I can remember correctly, I think we had about 9,000 people in the crowd and they were all singing my songs word for word. It was an extremely exhilarating experience! Hands down, One of my best show to date! Well, everybody is different as is every song so ultimately I want everyone to be able to enjoy what they hear. Whether my songs can help them through tough times, or even be a song to listen to while you’re working out at the gym. It doesn’t matter! I just want everybody to be able to connect and enjoy my music. It’s “feel good” music, and it should be heard and shared, limitlessly.